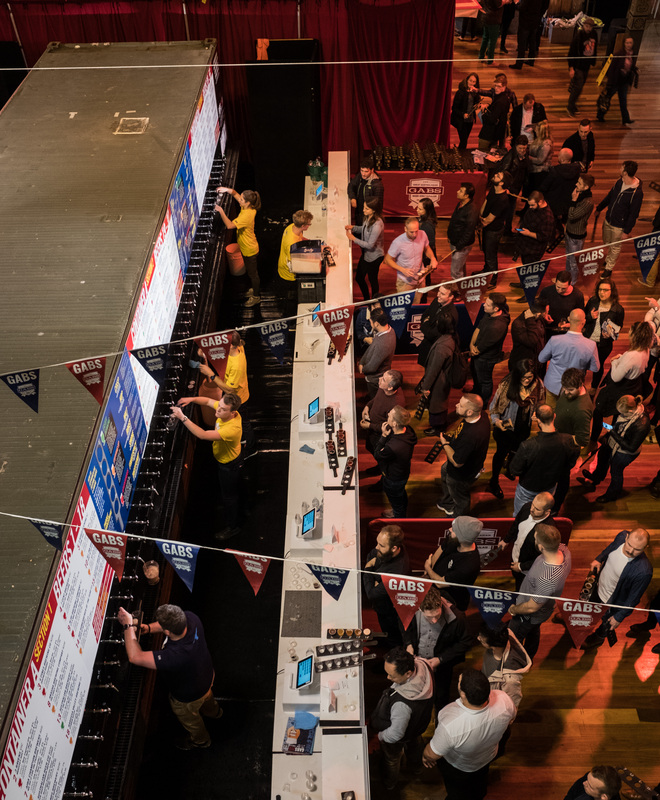 Last week was Good Beer Week in Melbourne, Australia which is a week long beer festival full of events, it ends with the biggest event of all The Great Australasian Beer SpecTAPular or as everyone calls it Gabs. 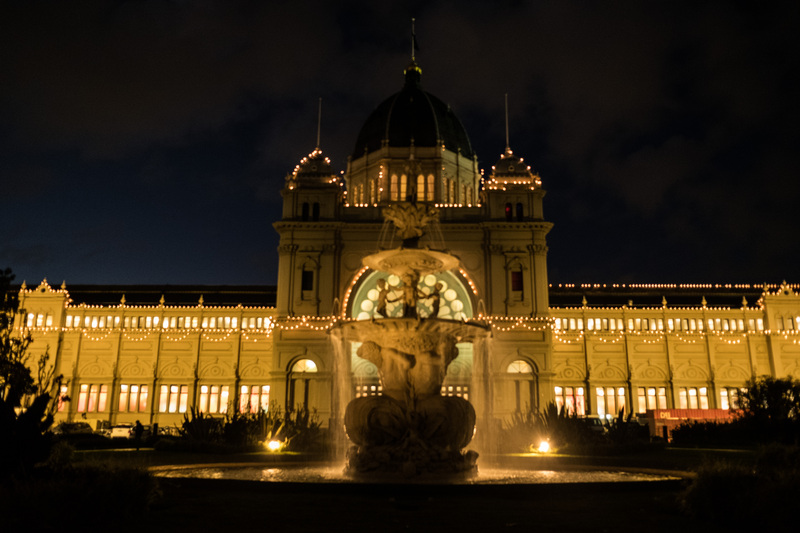 GABS started in 2011 in one of the beer bars of Melbourne, it went pretty well and the next year 2012 they moved it to The Royal Exhibition Buildings in Melbourne which is a stunning building built in 1880 a convenient 20 minute walk from my house. 2012 was my first GABS, along with 8,000 other people, it was a complete shambles, but we are a forgiving lot, because we went back every year since, and there is now something like 20,000 people who go across the five sessions of the weekend. GABS has the usual stalls from brewers, where they pour 6 or 7 beers, you can have a chat, see the full ranges etc, but then it adds, entertainment, food stalls, a couple of whiskey stalls, cooking & beer education classes (a good place to have a rest and get free beer). But what makes it really unique is the container bars – these are quite literally shipping containers, and they contain 156 festival beers, these are all beers which are brewed for the first time ever for GABS - maybe 15 or so will get a release post GABS, but most will never be seen again. 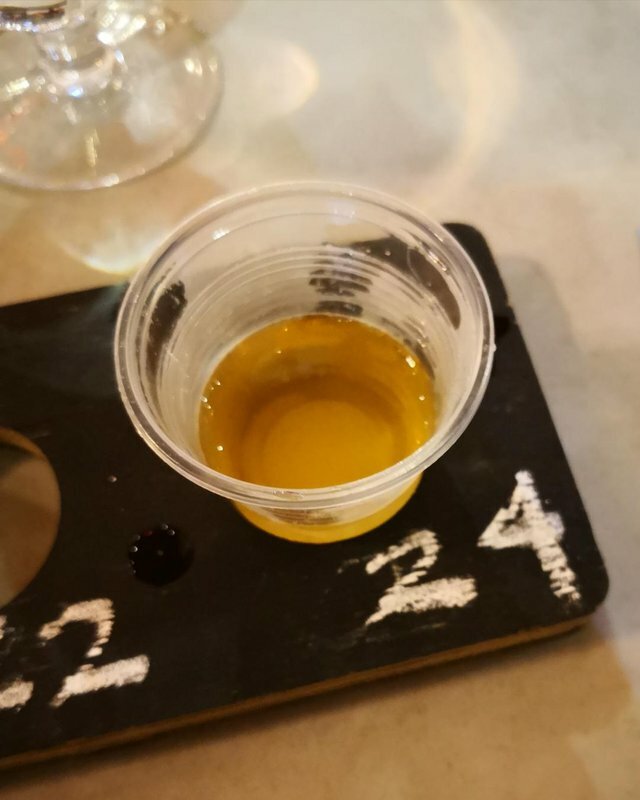 Beer 24: Beer Garden Brewing Oyster Stout (7.5%) – An stout infused with oysters - Unfortunately not really there, it needed to have a bigger body there is a hint of brine in the aftertaste, but I expected more. Beer 133: Six Strings Brewing Mint Condition (7%) – there is a trend a GABS for dessert beers, and gimmicks involing beer versions of lollies, icecreams and alike, this is one of them, but done very very well – it’s a mint infused milk stout, and yeah it tastes just like a mint chocolate biscuit. Beer 137: Tallboy and moose chocolate milkshake (5%) This was really interesting, it was a a dry dusty milkshake, all and all the a chocolate milkshake, just without the sweetness. Beer 108: Odyssey Beer house Blue Heaven Milkshake (6%): This was the beer that literally got people pointing when you had it on your paddle, why? It was blue, in fact a blue NEIPA, okay the blue is just food colouring, which is cheating, and the beer itself was a pretty normal subdued fruity pale ale, but it looked cool so I regreat nothing. Beer 60: Durian Durian (4.2%) this is made with Durian’s which is a fruit so smelly that it’s banned in a heap of hotels – also it has a pun based name (which is important at GABS) – It was actually a surprisingly delicate beer, I'm not sure I've ever had a durian, so I don’t know what they taste like but this lacked fruit. I also had many amazing, not at all weird beers, I sang did the annual sing Bohemian Rhapsody with a bunch of strangers, almost break untappd with check ins and spent way too much money. 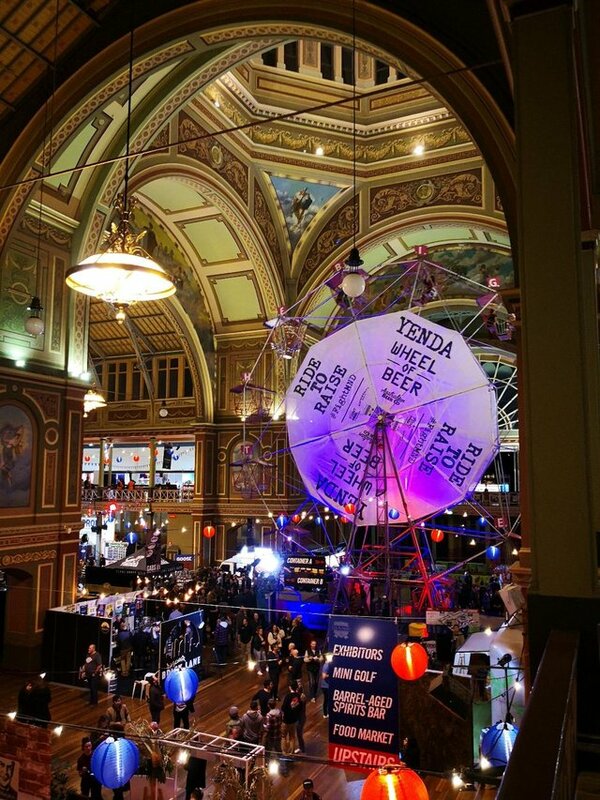 If you are in Sydney or Auckland head to GABS because it’s be there soon, if not, visit next year, and as always go enter Beer Saturday here: https://steemit.com/beersaturday/@detlev/jooooo-50-weeks-of-steemit-beersaturday-challenge-join-again-and-win-prizes and vote a plenty. Looks like a tonne of fun and some interesting stuff to take in! Sometimes ya just gotta forget the cost and have a good time. Up here it isn't uncommon to see Oyster Stouts (though that may be the lightest in colour I have ever seen for a stout), the others though, look pretty different. 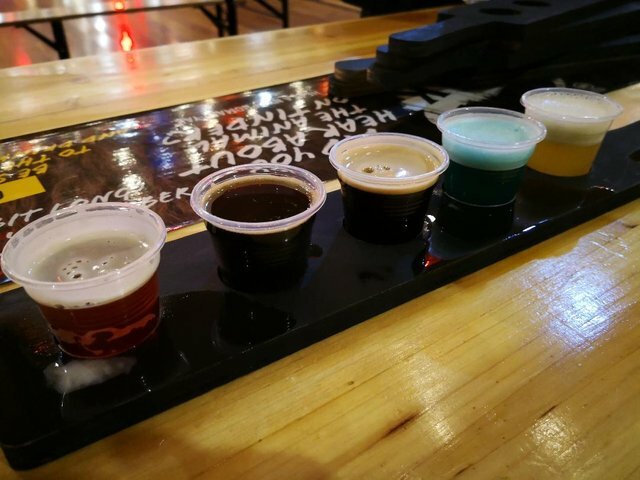 We get a lot of dessert beers as well, but they all vary so much. Gonna have to make it down there for that one year! Yeah it's well worth going to, put aside questions are like it cost me $30 to get in and each of these paddles is $11, how much have I just spent, and just go with it... it's all quite overwhelming but so much fun. The tasters on the paddles actually looked a little on the small side so $11 seems a bit rich. It would have been a blast though. So worth it overall. Yeah they are 85ml each so a paddle is basically a schooner - as I said you don't want to do the maths it'll just depress you. Yes, $11 for a schooner is quite insane. Man, that looks like a great day out! !